Peter. 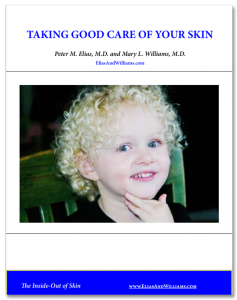 M. Elias, M.D., Receives Honorary Membership in the European Society of Dermatologic Research - Elias and Williams: The Inside-Out of Skin by dermatologists and skin researchers Peter M. Elias, M.D. and Mary L. Williams, M.D. On May 18, 2018 during the International Investigative Dermatology meeting in Orlando Fl, the European Society of Dermatological Research awarded Dr. Peter M. Elias an Honorary Membership in recognition of his lifetime achievements in research on the skin’s permeability barrier.